The weather seems to be turning pretty quickly into Autumn and the feeling of the coming Winter of shorter days and the cold for me comes with the feeling of slight dead. Luckily there are lots of really great pianos at Pianolobby to keep us cheerful. 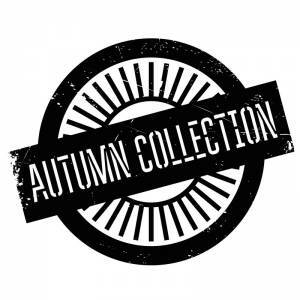 I have to say slightly immodestly that I think this Autumn collection is our best both in terms of range and price. Overall I think the quality is higher. Here is an outline of a few pianos that are available. Lets start with Danemann. This is a name from the past but it was a name that was very much associated with top quality pianos sold to the rich and famous around the world and to concert halls as well as schools. They were known for their robust build quality just as much as for their beautiful sound and touch. There were also many adventurous designs especially in the 1920s and 30s not just the slightly plain functional designs of their school pianos. 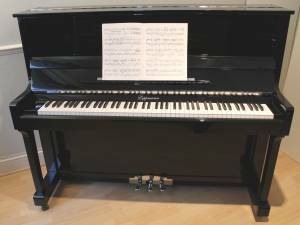 We have in stock one of the first of the new generation of Danemann pianos and we think it is an excellent first step. The model we have currently is 122cm tall, 147cm long and 60cm deep. The case is gloss black with beautiful chrome hinges, pedals and nameplate adding to its air of modernity. There are also subtle details in the casework giving further feel of quality. It looks great and as for playing I think they have got it about right. There is weight in the keys, but it is nicely balanced and would suit players who are beginners through to those who are more advanced. As for the sound, there is warmth as in traditional English pianos, mixed with an element of clarity of a modern instrument. 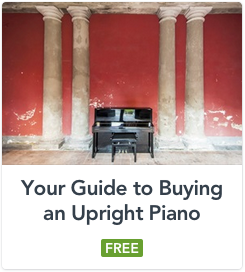 It is definitely worth putting on your list of pianos to try out. Next is our Lippmann. I have to confess here that I really like these instruments. They are very well made, feel great to play with a lovely rich clear tone and are great value. We were very excited when we stumbled on this piano. It has been difficult to find brand new Lippmanns in recent times as fewer are coming into the country. This Lippmann is also fitted with rather tasteful chrome hinges and pedals. As you can see it has a high quality finish, there is even a pedal plate to protect the case from shoes when pedaling. No collection would be complete without Yamaha. Here are 2 examples of U1 pianos. Both are wonderful pianos which feel and sound as a good Yamaha should. One was built in 1965 and the other in 1975 but both perform as if decades younger. Yamaha is of course one of the most famous manufacturers of quality musical instruments. Their attention to detail and quality is very much in the top rank of piano builders nowadays, which means when we buy a used Yamaha we know that it will still function reliably for very many years. If you would like more information please do get in touch. 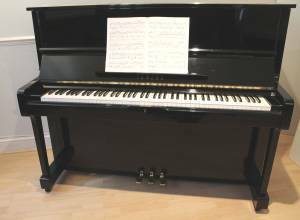 There are plenty of other pianos ready for you to try out, this post is just to give you a little flavour of what we have. Next month should make for an interesting read for you. It is all about Danemann, past present and future.